The Technical Rope Rescue & Extrication Course is a 5 day 56-hour course designed to prepare participants to meet the education and training skills, along with experience required to conduct Technical Rope Rescue & Extrication of patients located in low to high-angle wilderness environments. This course provides participants the basic fundamentals in the use of equipment, anchor systems, rappelling, lowering and raising systems, as well as critical thinking skills to make sound judgements necessary to conduct these activities safely and effectively. 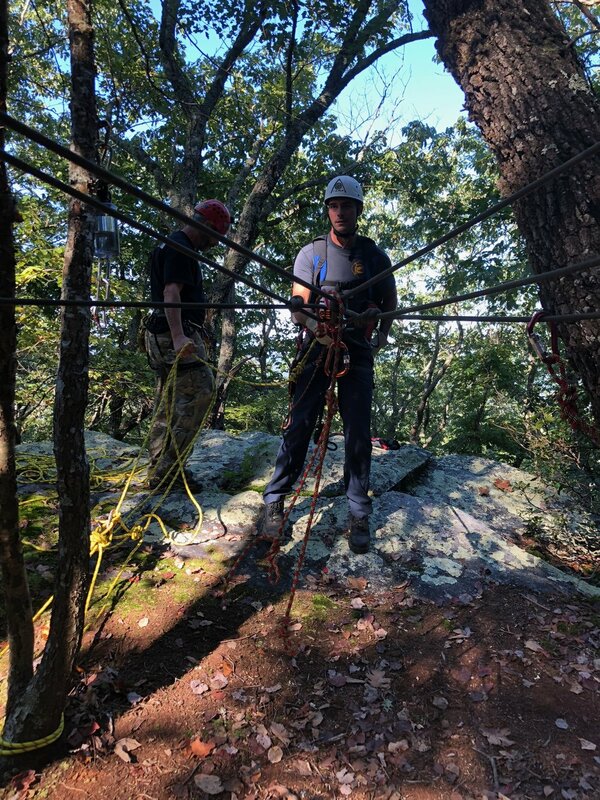 After completing this course, students will have the knowledge, skills, and experience to operate as a new member of a Wilderness Technical Rescue Team. VAMS also can customize this course to meet the needs of agencies/teams and their specific response terrain and operational level.